I think it’s only right that kudos go out to Nick Parker on his very 1st Haven episode to air!!! Despite the fact that you changed things up, it still felt like we were in Haven. “In times of great evil, the child of ruin must find the heart of Haven and summon the door.” Wow. 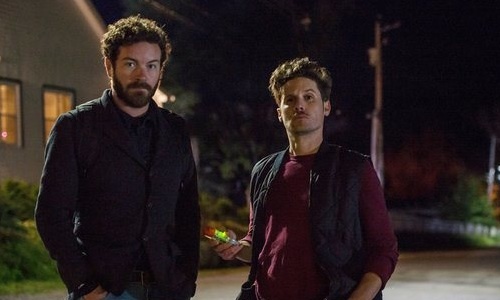 Danny Masterson and Kris Lemche guest starred in what is not only Nick’s 1st episode but also Haven’s 50th episode overall. Woohoo!!! 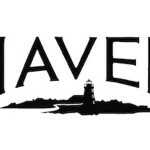 Kudos to the cast and crew of Haven. Quite an accomplishment. We threw our own celebration and gave away a Haven mug to winner @ccsmith89 (Congrats again!). This Darkside Seekers episode reminded me of the Ghostfacers of Supernatural and I loved it. 🙂 This episode had a little everything and it was fun to watch. I’m keeping this short because I’m working on plans for a Haven Season Finale Party. Since the 50th ep contest went so well, I figured why not. It’s being planned for the hour before the east coast airing of the finale and I want all of my online Havenites to be a part of the fun. More information to come but we’re doing a menu, contests, giveaways and prizes. Exciting! Till then, here are my random thoughts and quotes. 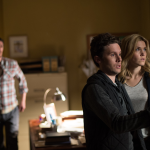 Per usual you can find a better review over at Syfy Haven, just click here. And remember it’s a two-week mini-hiatus. Hang in there. Happy Thanksgiving to those who celebrate! Gloria is my shero. No exaggeration. I <3 her. Someone point me in the direction of her fanclub. I want to run for an office. Jayne Eastwood if you ever see this post, know that I am a new fan! Seth said what we all think – how many gas leaks before changing the pipes?! Vince’s panic at seeing Audrey in the hospital….relax man. lol. Dave and Vince really need to step up their security. The Seekers were able to hack in? With the things they know, even the CIA shouldn’t be able to hack in. That short goodbye scene at the hospital between Nathan and Audrey was sweet. It’s the small things. You have to take what you get. Vince says that him and Dave know nothing….and I believe them. This is a whole new ballgame afterall. That Duke/Nathan scene was everything! My favorite part of this episode to be honest. Watching Nathan do his best to be reassuring is cute. Nick Parker you had my heart in my throat with that image of Stan on the ground like that! One of these days y’all are going to be for real and not fake us out and we will all be a mess when that happens. Gotta say I was happy that this episode didn’t have Audrey comatose the whole time. I was half expecting it though. When Nathan is in investigative mode, he can still be pushy. So Audrey was gonna use her gun to help get the book forgetting that Dwight was unconscious in the room. Yikes! That would have really sucked for Dwight. Now we have a glowing Guard symbol only Jennifer can see….say what! Anderson: Oh, you playing bad cop today, ponytail? Seth: Just keep rolling. He can’t arrest us. Nathan: “William–He knows everything about her. They have this connection.